Google provides the various different facilities one of them is Blogger. Using Blogger one can write and share his own articles ,thoughts ,ideas,inventions,information about anything to the world. You need not require any coding knowledge to start blogging ,To get started with blogging you can use your gmail account easily.. This session relates to, that Blogger provides very poor quality templates and that appear on web looks dull that indicates lack of professionalism so How to make blog cool ,impressive, look like professional and more fast and tremendous traffic to your blog ? Answer is simple by using different templates created by another vendors and which are free of cost and will available on internet. 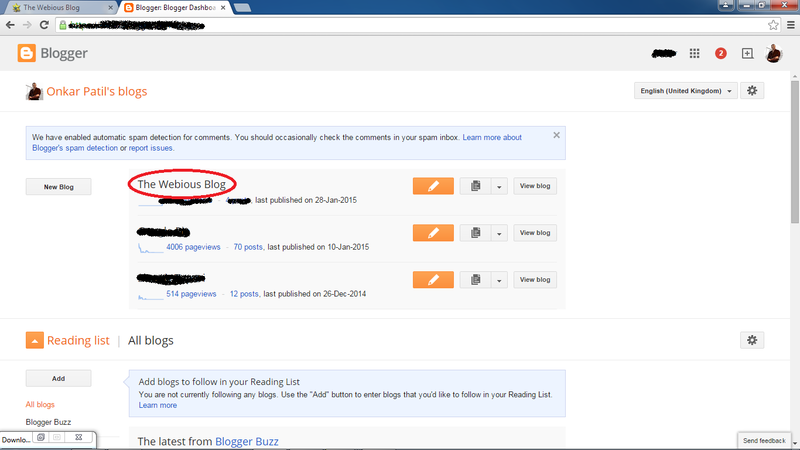 Step 1 : Log on to the Blogger using your Gmail account. select your blog and will get another window. 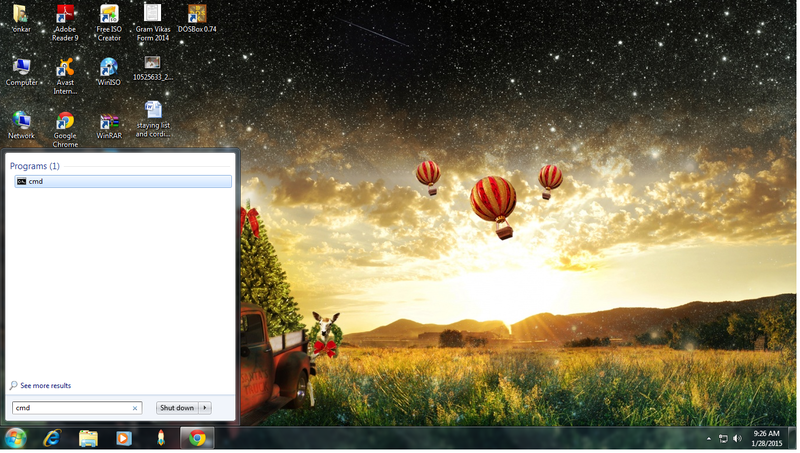 Step 4 : Now at left you will get option menu list on blogger window. 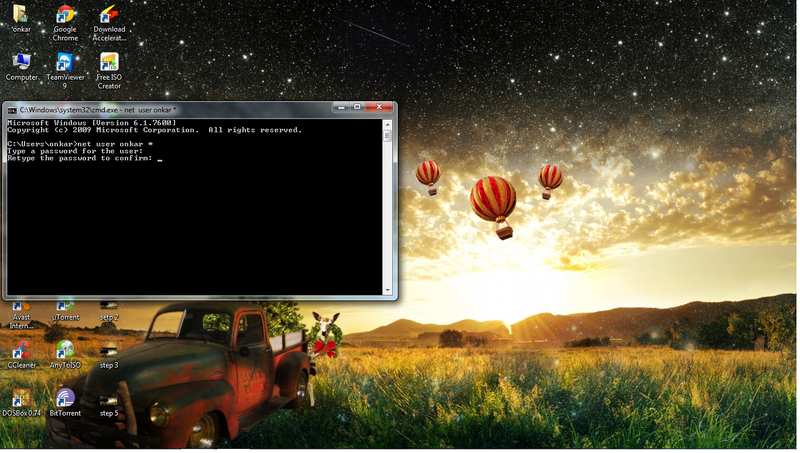 first click on template and at upper right side corner click on Back up / restore . 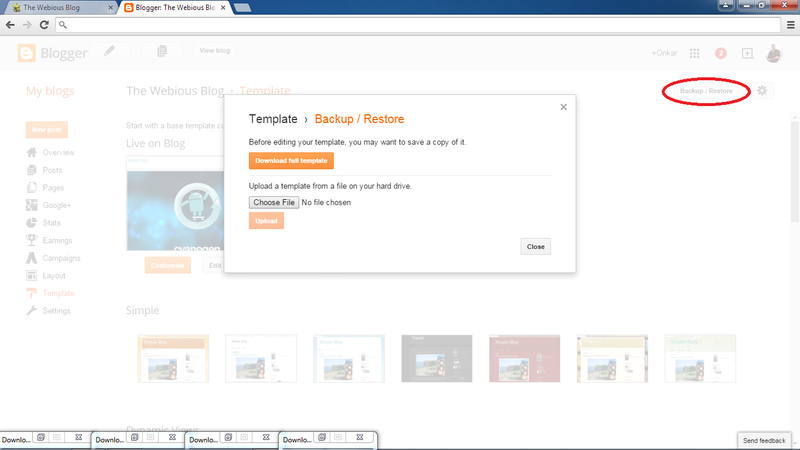 step 5: when yo will click on Backup/restore above window will appear...for safety first click on Download Full template and save it at safe place . 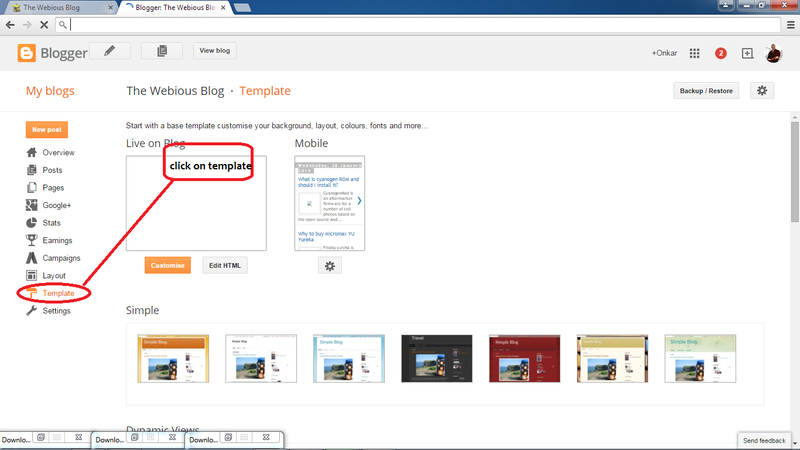 and just upload it will take little time to set then just refresh the page and click on view blog new applied template will appear with all your content. Note : No harm.. if you do not like new look apply all these steps for another template . your data will not get lost until you delete it.first take back up of your template clicking Download full template as mentioned above. What is cyanogen ROM and should I install it? CyanogenMod is an aftermarket firmware for a number of cell phones based on the open-source Android operating system. 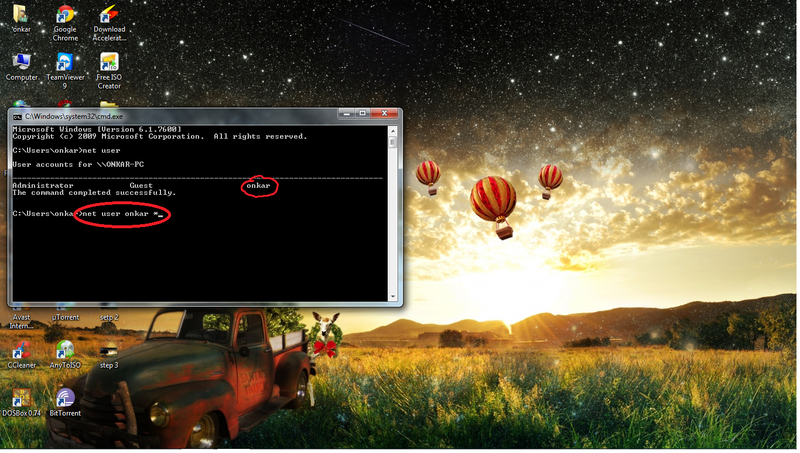 It offers features not found in the official Android based firmwares of vendors. It removes the bloatware (unwanted progrmes) installed by your carrier. Faster updates to new features of android. You don't need to wait for update from your smartphone vendor. Built in ROOT and advanced features and capabilities like over clocking. Super cool right, but wait there are some CONS also, the another side of the coin. Warranty gets void after removing stock android. ROOT access can be dangerous if not handeled properly. Download from trusted sources, It can contain some malicious code. Stability issues may arise with experimental ROM OS. It must well maintained by the community so that you will be updated with latest features and security updates. by the cyanogen users around the globe. Do I need to root my phone before installing? No. You can have a rooted phone, or not. The installer doesn't care. However, to be in a supported configuration, you need to be running a stock ROM . If you liked the article then please share and let us know your questions and thoughts about this through comments. Thank You. Finally yureka is out. It has become one of the most waited phone being on a custom ROM : Cyanogen 11 ROM rather than Stock Android. The reality is that no company(except in Google Nexus) gives Android as it is but makes some few tweaks in its look and feel. real beautiful phone with a custom ROM built in. 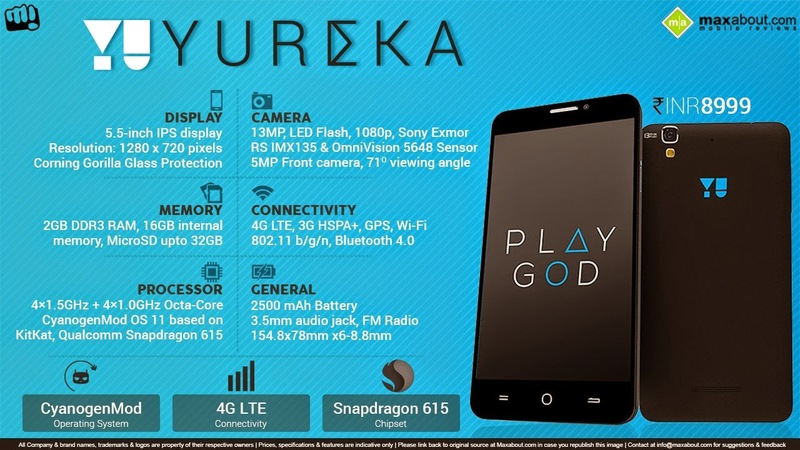 So Why should we buy Yureka??? Micromax has signed an exclusive partnership with Cyanogen to be the only seller of Cyanogen smartphones in India. No micromax branding logo is on yureka but you will see a cool YU logo at the back cover. 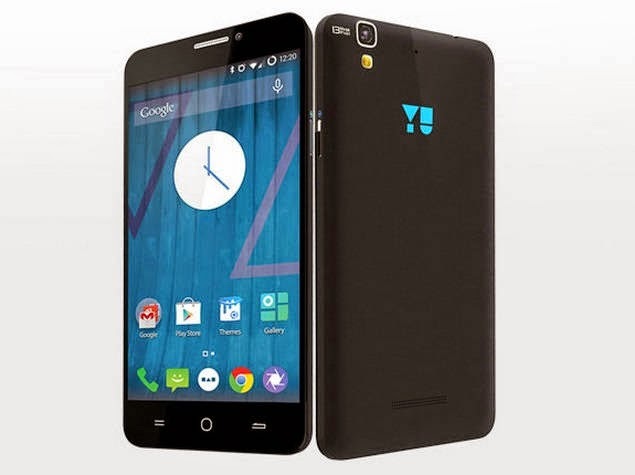 Although micromax is not that famous for its design but yureka's been very nice in its look. It has 5.5-inch IPS panel display with Corning Gorilla Glass 3. 3.5mm audio-jack is located on top and the microUSB charging and data transfer port is located on the base. It’s powered by the 64-bit Qualcomm Snapdragon 615 system on chip which houses an octa-core processor clocked at 1.5GHz and the Adreno 405 GPU clocked at 550MHz. It comes paired with 2GB of DDR3 RAM and offers 16GB of storage of which 12.8GB is available to the user. On the camera front, it comes with a 13MP rear camera and a 5MP front-facing camera. It runs on Android 4.4.4 KitKat OS with the Cyanogen 11 ROM. 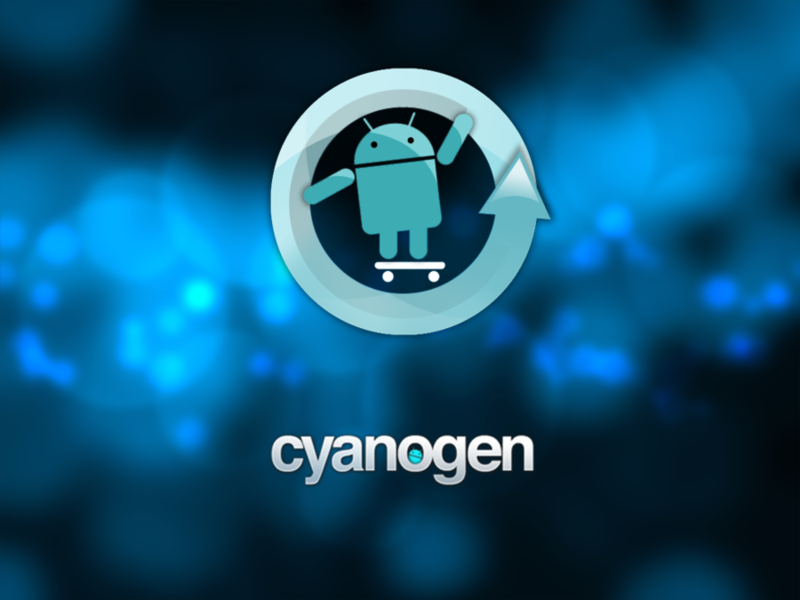 You can read the article Why Cyanogen ROM, PROS and CONS to get a clear idea of Cyanogen ROM. The Yu Yureka houses a 2500mAh battery, which is not much considering the power-consuming 5.5-inch HD display. The touch response of the Yureka is smooth and we did not notice any lag while using the phone. Call quality was quite good and we did not experience any call drops at the time of testing. Yureka can handle popular games such as RipTide GP2, Fruit Ninja, Shadowgun smoothly. though we noticed some stuttering when playing full HD, high bit-rate videos. The Micromax Yu Yureka sports a Qualcomm Snapdragon 615 octa-core chipset, which keeps most tasks running at a lightning speed. Now, the immediate competitors to the Yu Yureka are the Redmi Note 3G/4G and the ASUS Zenfone 5. 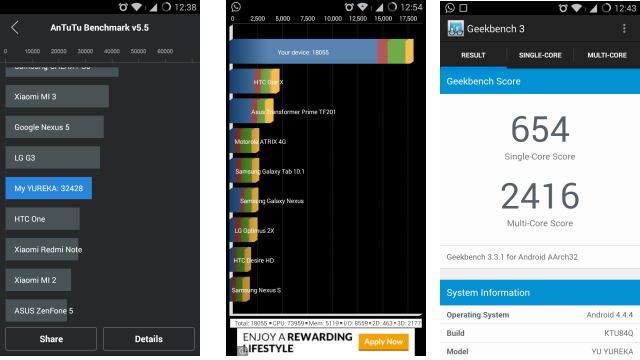 In the AnTuTu benchmark it scores better than both these phones. This is Amazon exclusive phone and prized at 8,999 Rs. Hi friends Today we are going to learn most interesting concept about cmd that is command prompt. 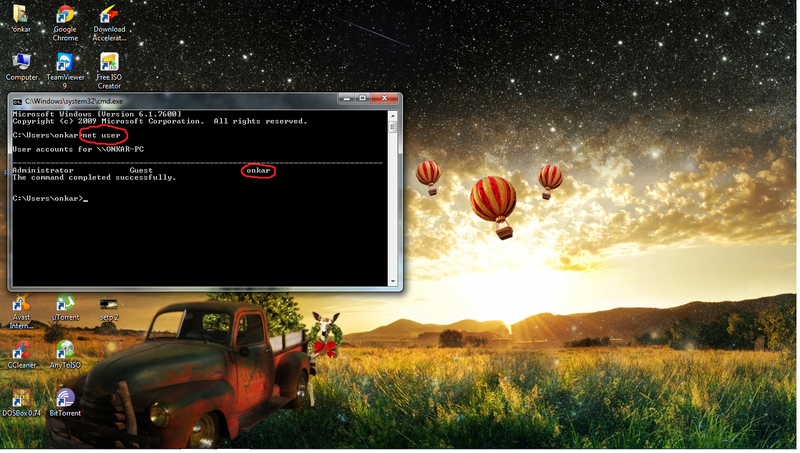 step 4: Here i am logged with my administrator account because i don't carry Guest account Now you should know exact account details of computer at that time use this command "net user "
when you will do this you will get all the accounts present on computer in above image "onkar" is only one account which is administrator Now i am going to change the password of "onkar"
step 5: To change the password just hit the command in this way "net user (account name) * "
step 7: When you will enter one message will get displayed in command prompt command submitted successfully and now you can login with new password of that account. the message will prompt that " access denied "